For an alternative to the cliches and crowds of Paris, look to the Southwest of France where Bordeaux is more than just a wine region...it's a vibrant and absolutely beautiful city. Shhh..but you heard it here first! fue mi Ciudad Erasmus durante 8 meses, es muy bonita. tiene mucho arte, ciudad muy bohemia y con mucha vida. Under 2 hours away, Bordeaux is excellent for history, architecture and restaurants. 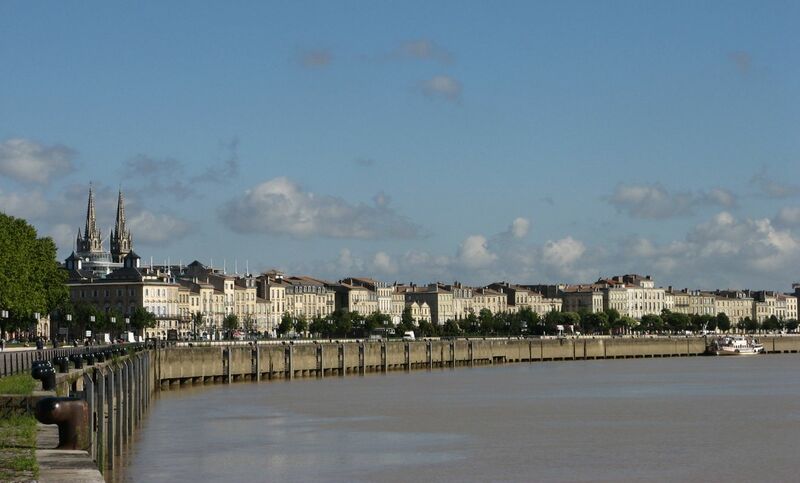 Take a tram ride to see the city or stroll or take a river boat along the banks of the river Gironde. In the Lac region of Bordeaux, the commercial centre provides shopping whilst the district of St Pierre provides the oldest part of Bordeaux. In my opinion this is the most beautiful city in France. Restaurants, cafes, bars, to suit all budgets. The architecture, the fabulous tram system making is easy and cheap to travel into the city, Churches, and of course the River itself. Just sit and watch the world go by! 1 hour by car. Bordeaux is an amazing city not to be missed! Book a boat tour, take your family to the famous "water mirror", relax in a park, climb the 229 steps of the Pey-Berland tower and enjoy the unique atmosphere of the old Bordeaux. Book a tour by bike! A visit to Bordeaux is the right choice for everyone. A perfect combination for wine, beach and lovers of architecture. Also a great place to enjoy seafood, like shell fish, oysters and mussels. Bordeaux, lots of history here, shops and restaurant, only 2 hours drive from Chatenet, and great for wine tasting ! This city is more than just wine. It's got a splendid old city, with many buildings from the 18th century, earning it a UNESCO world heritage status.